The latest impact footprint released by IAWN for the fragment of asteroid 2015 PDC. The impact will occur only 7 months from now, and the location will be either in India, Bangladesh, or Myanmar. 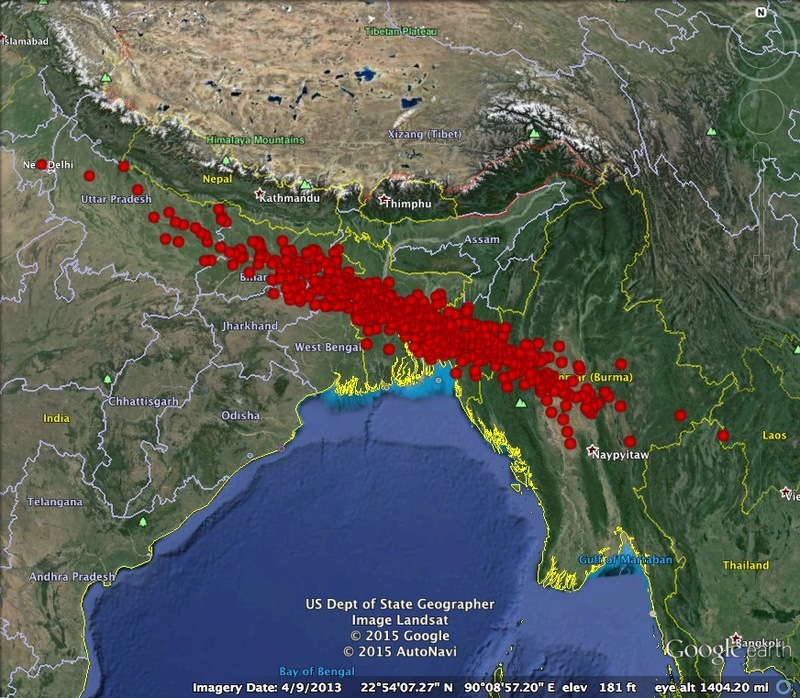 IAWN notes that the large cities of New Delhi and Dhaka are within the footprint, and these cities should make preparations for possible evacuation. Based on these most recent tracking observations of the fragment of 2015 PDC, IAWN has announced that the smaller fragment will impact the Earth on September 3, 2022 at about 03:50 UTC. The predicted location of impact is indicated by the accompanying diagram. The asteroid will be observable for about 6 more months, during which time the impact footprint will dramatically shrink in size. The impact location will be known to within about 100 km - 4 months before impact - and within about 50 km 1 month before impact, when the asteroid passes into the daytime sky once again. Radar observations will be possible from Goldstone within the last week before impact, and those measurements should constrain the impact location to within 15 km.